When we lose a loved one, we must learn not to live without them, but to live with the love and memories they left behind. Georgiana Cochran passed away February 4, 2019, just shy of her 95th birthday, following a brief illness. She was born to Charles White Ferguson and Florence Fay Fryback in Bluffton, IN. 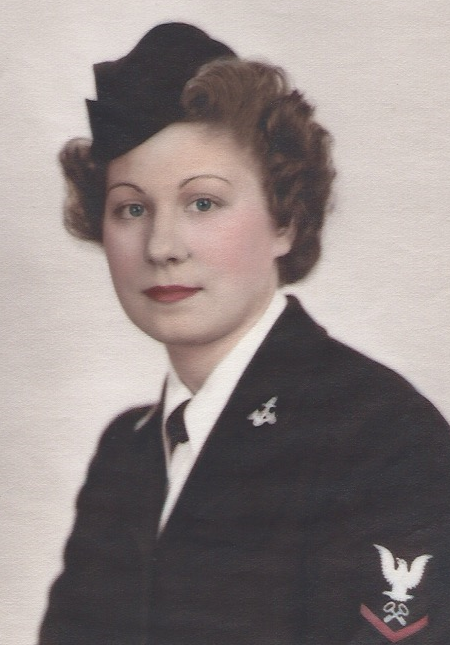 As a young woman, Georgiana joined the Navy as a Wave and was stationed in Hawaii during WW II. She moved to Michigan following the war, married and had three daughters. She worked in Human Resources and Accounting for the JC Penney Company and continued to work for them after she moved to Kaneohe, HI in 1978. Georgiana would return to Sylvania each summer to see her daughters and their families, until she retired. She would then spend half the year with her daughter, Jacque, in Hawaii and the other half with her daughters, Sharon in Ohio and Melody in Michigan. Georgiana is survived by her brother (Bobby); daughters, Sharon (John), Jacque (Stephen), Melody; grandchildren, Lindsay (Reed), Kevin (Mycah), Kendra (Tommy), Tommy (Jenny), Dustine, Nathan (Renee) and Lauren (Patrick). She also leaves behind fourteen great grandchildren and one great great grandchild. She was predeceased in death by her parents; sisters, Mable and Martha; and brothers, Everett and Donald.